Recycling Works: Can I Leave Packing Tape On Cardboard Boxes? 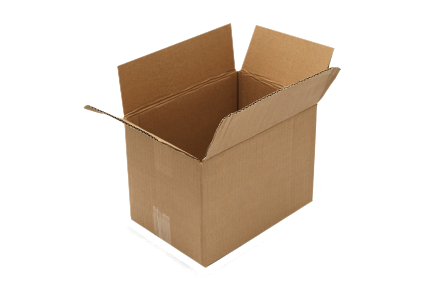 Corrugated boxes, more commonly referred to as “cardboard boxes”, have a long history. The term “corrugate” means bent into curves or folds. First invented as corrugated paper in 1856 by Edward Allen and Edward Healey, this material was the result of flat paper being fed through “a simple hand machine made of two fluted rolls”. The wrinkled paper was used to line the tall hats that men used to wear to keep them straight and upright. In 1871, American Albert L. Jones used the fluted paper as packaging for wrapping such fragile items as glassware and bottles. It was in 1874 that a patent was obtained by American Olivier Long who invented the concept of adding a liner to one side of the corrugated paper to strengthen it. He then took it a step further and added paper to both sides. “Finally, in 1890, Robert Gair, a printer in Brooklyn, New York, invented a corrugating machine that mass-produced pre-cut corrugated cardboard boxes for commercial use. Gair’s machine was the first to prefabricate folding corrugated boxes” used for packaging and shipping. Today’s shipping process almost always involves some type of tape or adhesive. Does the tape have to be removed before throwing the boxes into your recycling? Not at all. The recycling process of corrugated boxes involves churning it up with water to make a slurry. In this process, tape and paper labels will rise to the top and be skimmed off before the final product is sent to final buyers. So you’re able to leave the labels and packing tape on corrugated boxes if you must. Recycling that corrugated box is the most important piece of that puzzle…the recycling process will take care of the rest. For more information on recyclable items and materials visit www.wasteawaygroup.com. Bansal Box and Corrugating Industries was incorporated in the year 1967 at New Delhi, India. Now we are reckoned as one of the best manufacturer and supplier of corrugated boxes in India. All our products are widely acclaimed for their distinctive features like durability, strong built & heat resistant. We are a well-known organization that is engaged in Corrugated Boxes and Corrugated Rolls wholesale, manufacturers and suppliers. Our offered corrugated boxes are praised in the markets. Nice Blog Post, thanks for sharing. A couple weeks back I want cardboard boxes for moving. I'm determined to include more functional, but stylish organization into our home. All, all this shameless self-promoting from spammers...wonder if they even get any traffic? Great article!The US Postal Service is not a fan of duct tape. He strives to leave a sticky residue on his equipment.Over the past few years, I have used a tape to send at least twelve parcels.Anyhow Waste Management company provides a collection service on loose or baled cardboard / paper within the Kent and London area. These days corrugated plastic boxes are also an good options as this provide more options and they are eco friendly like cardboard boxes . Oh my god! This was interesting! It’s good to know about the history sometimes. It was definitely a good read. I was looking for courier services Dallas and I came across something very edifying. It is worth sharing. My sister loves to know about such things. and thermo formed packaging for many different needs. Plasbox can supply you with most of your packaging needs because Plasbox can supply cardboard packaging,plastic packaging, window face boxes, shelf ready trays, slitting of rolls of plastic, sheeting of plastic, vacuum forming products manufacturer and thermo formed packaging for many different needs.